If you were given the chance to be happy for the rest of your life, wouldn't you jump at it? 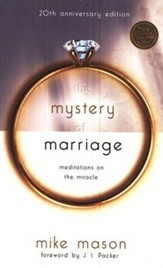 In Champagne for the Soul, bestselling author Mike Mason explains that the Bible does make this offer. Yet most of us hang back, reluctant and skeptical. Theologically most Christians will agree that the Bible teaches and offers a life of joy; yet deep down we're not convinced that such a life is practical---for us or any ordinary person. 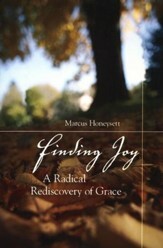 But, says Mason, such joy truly is ours to claim and embrace. What you now hold in your hands is a call to throw off all worries and complaints and to "come and share your master's happiness" (Matthew 25:21). Is it possible to live every day in joy? You will never know if you don't try. These pages, drawn from the author's own ninety-day experiment in actively pursuing joy, will lead you on a journey that will help you-no matter what your circumstances---to escape the trap of worry, fear, and dullness and grab hold of the joy of the Lord. "The injunction 'Get real' usually means 'Leave your world of fantasy and return to what really is.' True Realism always and everywhere is to find out where joy resides. In the past year this magical gift got lost or mislaid in my life. Mike Mason has located it, given it voice, and helped me to recover it. Even one sip of Champagne for the Soul is a heady, exhilarating experience." -Brennan Manning, author of A Glimpse of Jesus: The Stranger to Self-Hatred If you were given the chance to be happy for the rest of your life, wouldn't you jump at it? In Champagne for the Soul, bestselling author Mike Mason explains that the Bible does make this offer. Yet most of us hang back, reluctant and skeptical. Theologically most Christians will agree that the Bible teaches and offers a life of joy; yet deep down we're not convinced that such a life is practical-for us or any ordinary person. But, says Mason, such joy truly is ours to claim and embrace. What you now hold in your hands is a call to throw off all worries and complaints and to "come and share your master's happiness" (Matthew 25:21). Is it possible to live every day in joy? You will never know if you don't try. These pages, drawn from the author's own ninety-day experiment in actively pursuing joy, will lead you on a journey that will help you-no matter what your circumstances-to escape the trap of worry, fear, and dullness and grab hold of the joy of the Lord. 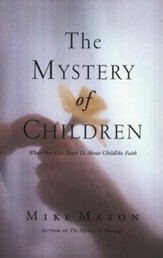 Mike Mason is the best-selling author of several books, including The Mystery of Marriage, The Mystery of Children, The Gospel According to Job, and Practicing the Presence of People. He and his wife, Karen, an M.D. in general practice, live in Langely, British Columbia, Canada, with their teenage daughter, Heather. 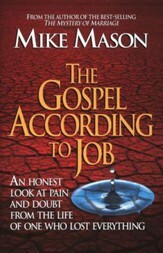 Mike Mason is the best-selling author of several books, including The Mystery of Marriage, The Mystery of Children, The Gospel According to Job, and Practicing the Presence of People. He and his wife, Karen, an M.D. in general practice, live in Langely, British Columbia, Canada, with their teenage daughter, Heather. 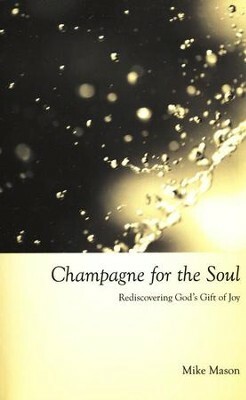 I'm the author/artist and I want to review Champagne For the Soul: Rediscovering God's Gift of Joy.